Technology, Innovation, Expertise, Professional Staff. Our mission is to provide our military, government and law enforcement agencies with a world-class training solution in order to enhance Canada’s public safety & emergency response effectiveness. Based on their collective experience, the founders of Complex GTI Inc. have focused their efforts on creating partnerships with companies such as Meggitt Training Systems who brings over 90 years of expertise as world leaders in ranger technology. Complex GTI Inc. offers the most advanced training facility of its kind in Canada encompassing unique cutting-edge dynamic shooting technology and provides the safest training environment for all end-users. 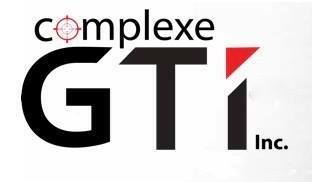 At Complex GTI, our team is fully committed to providing our military, law enforcement and security agencies with a state-of-the-art training facility that truly represents the values, professionalism and dedication of those men and women who constantly put their lives on the line for the sake of public safety. Canada deserves its own world-class tactical training center. Armed with unprecedented talent and remarkable operational experience, our team directed its efforts on establishing valuable relationships with distinctive public safety organizations key players, collecting important training requirements data.